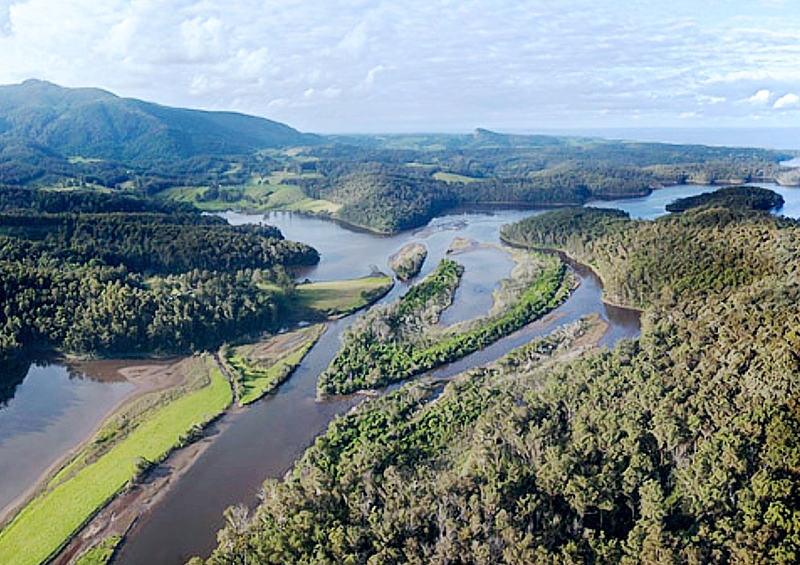 THE WILDERNESS SOCIETY is the latest environmental group to add its official support to a growing list of about 50 others supporting a proposal to establish a Great Southern Forest in south-eastern NSW. The Wilderness Society established in 1976, is a community-based, not-for-profit advocacy organisation with over 200,000 supporters on Facebook. This organisation is seen as one of the peak environmental non-governmental organisations (eNGOs) in Australia and, as such, has influenced government environmental policies over time. The Great Southern Forest proposal is a breakthrough approach seeking to shift paradigms about the management of our public forests bringing them into line with pressing global issues and current science. 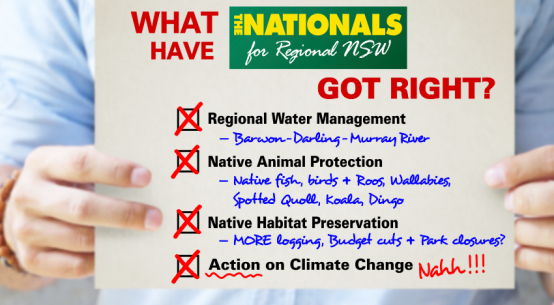 The numerous separate fragmented areas of concern make up more than 430,000 hectares of publicly-owned native forests between Nowra, south to the Victorian border and west as far as Tumut. Many of these 76 individual forests are known wildlife corridors. Other major Australian NGOs have officially endorsed the Great Southern Forest (GSF) initiative including National Trust NSW, Conservation Council ACT, Nature Conservation Council, National Parks Association NSW and Conservation Council SA. Groups that recently joined this alliance include the Elm Grove Foundation, Ecospecifier and Global Green Tag International: diverse organisations in many ways yet with common goals and vision. Sean Burke, Hon Secretary of South East Region Conservation Alliance states: “The Great Southern Forest proposal advocates the reorientation of the management of South East NSW public native forest from industrial logging to ecological integrity of our continent, climate stabilisation, carbon sequestration and water security, thereby activating the region’s economy with new money and jobs”. This stand for the public forests also aims to raise awareness of alternative and superior fire management practices. Research shows that logged forests are more fire prone than unlogged. Trials and workshops are being held to explore how to prevent or at least mitigate the number of high heat fires occurring, with cultural or natural burning practices seen as the way of the future. By introducing more frequent, small and cooler fires, canopy fires, which are the most damaging, tend to be eliminated. Many new employment and education opportunities can be created in this sphere alone. Part of the overall aim of GSF is to support the First Nation people extending their caring for Country, and reintroducing cultural celebrations and sharing for future generations. It is appropriate that GSF enable the return of custodianship to the original inhabitants to allow greater self-determination and security which assists with peace of mind for regional communities who treasure their heritage and culture. GSF Marketing and Communications manager, Paul Payten, observed: “This national alliance of concerned citizens, peak eNGOs, community groups and a growing number of businesses are quietly and clearly expressing their support for the common good of retaining unlogged and cared for native forests”. He also acknowledged that: “GSF’s model can work here and potentially elsewhere”. One major differentiator of GSF is that there is no call for further national parks or reserves. It is acknowledged that perhaps some segments of the whole area might be quite suitable to be declared a park or reserve, yet it is conceived that state forests adjacent to national parks and reserves might relieve the pressure on them from encroachment of residential or commercial development, less sensitive tourist activities or even serve as a buffer for fire management and weed control and pest control programs. If governments stopped logging and clearing native forests, Australia would meet its obligations under the Paris Climate Agreement. And that would be the start of the new paradigm of enjoying and valuing our wonderful home. How is it we do not take this very accessible step? IMAGE: GSF — saving native forests for carbon, climate, culture, habitat, oxygen, soil, water and wildlife. CREDIT: Richard Green. For further information about the Great Southern Forest, please visit www.greatsouthernforest.org.au where the full resource material is available. And, Like us or become a Friend of GSF at www.facebook.com/greatsouthernforest. Native forests are a public issue which concerns all Australians, so please share as widely as you see fit.